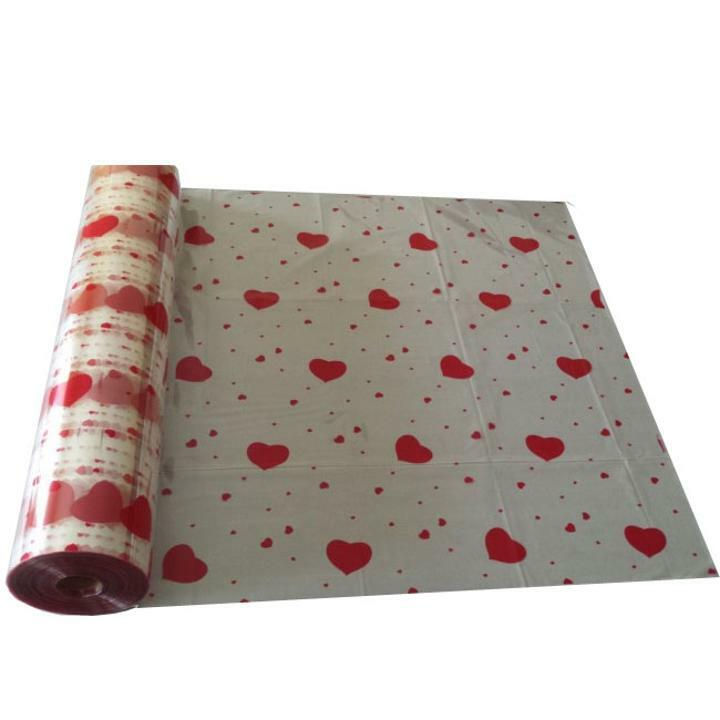 Super Gaint roll of Heart Printed Cellophane. Tie it closed with any of our stunning pull string bows (not included) and curling ribbons. 1 Super Giant 1500 ft. roll of Heart Printed cellophane wrap is the perfect way to wrap baskets, gift and flowers. It's a beautiful accent to all your packaging! Cellophane wrap keeps dirt and moisture out and can be cut to desired length. Tie it closed with any of our stunning pull string bows (not included) and curling ribbons. Roll measures 30"x1500 ft. Ideal for industrial use, flower shops and gift boutiques.